So is the name of this supposed neighbour a coincidence or am i just imagening the relation to firearms and maffia boss Tony Montana? It fits te story to good to be a coincidence.. So what is this article then and why is it put up there? So is the name of this supposed neighbour a coincidence or am i just imagening the relation to firearms and maffia boss Tony Montana? It fits te story to good to be a coincidence.. It smells.. This is just a tool to disarm the population. Just like the "fakenews/disinfo" laws in Europe to silence the critics.. I feel we are nearing the End Game or maybe we are allready in play.. Europe, the US, Canada wil strike somesort of alliance anyday now. They've tried it with TTIP and failed more or less but they will succeed. Americans don't have to be disarmed because we don't have the balls to use arms against agents of the state. Ammon Bundy got away with it. 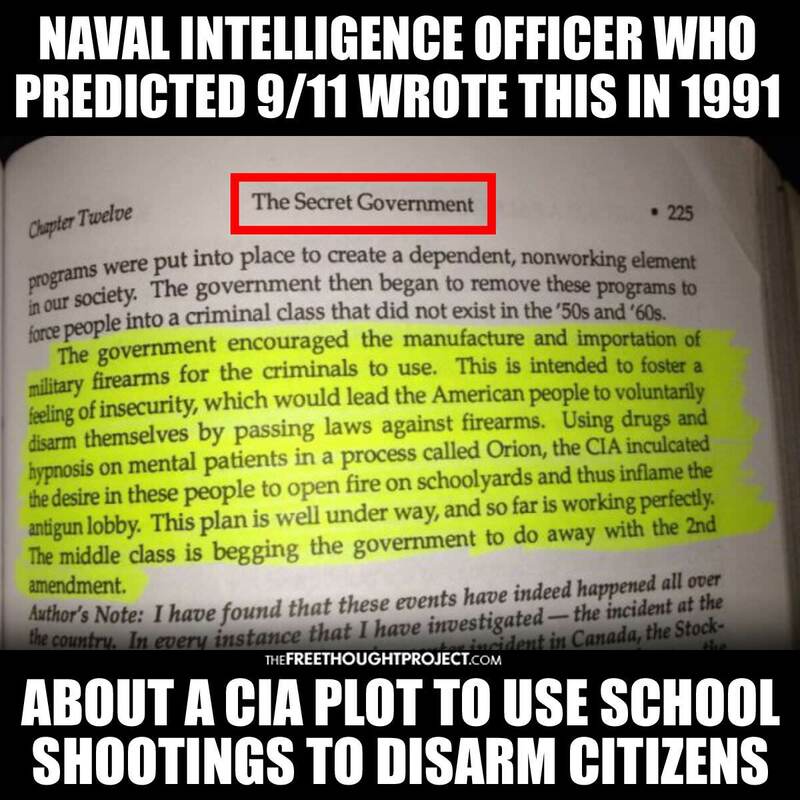 (03-08-2018 12:33 PM)Count Iblis Wrote: [ -> ] Americans don't have to be disarmed because we don't have the balls to use arms against agents of the state. but on the other hand that Dorner dude was one dude that caused thousands of officers to scramble just to catch him.. so the citizenry having guns can still pose problems for the powers that be. So you suggest making guns illegal even for law abiding citizens? Who will defend private citizens? The Supreme Court already ruled that cops aren't obligated to protect citizens. Cops only protect each other. Drugs are illegal also. Are those laws working very well to get rid of drugs? Do you think more gun laws will get rid of all guns?